Correct Direction: Do you know that WiFi is disabled when your phone goes into sleep mode? Do you know that WiFi is disabled when your phone goes into sleep mode? internet radio, it could be a disaster in a certain situation. WiFi should be awake even if the screen is off in these cases. Wifi Lock suggests the best solution to prevent WiFi going off. 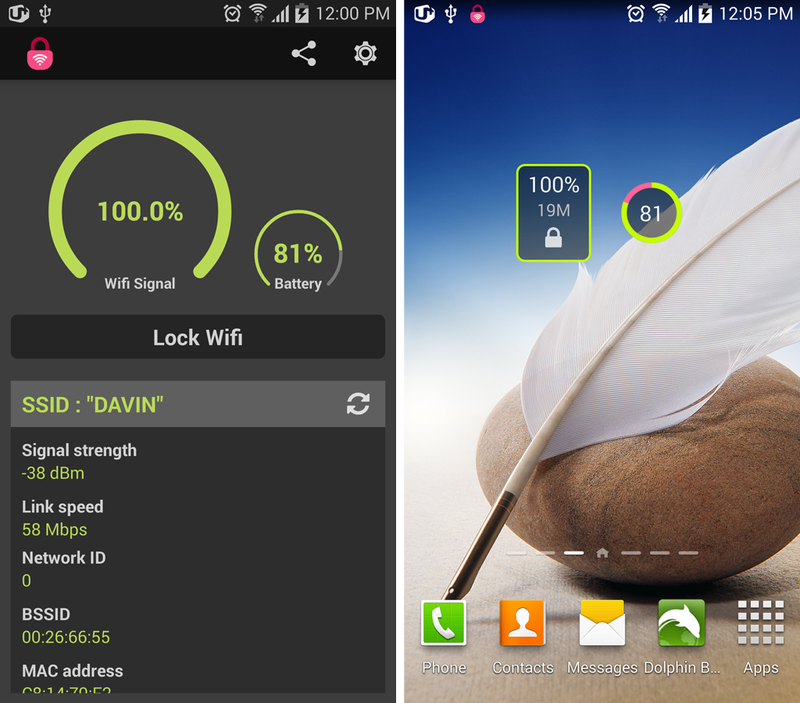 Wifi Lock is a free Android application. The app is compatible with Android 2.2 or later. The Wifi Lock keeps your WiFi alive once you turn on WiFi. In other words, your device cannot turn off WiFi until you manually turn it off. The Wifi Lock also prevents your phone going into sleep mode and keeps the applications alive. In addition to these functions, you can monitor WiFi connection state with this app. It shows you the WiFi informations including SSID, signal strength, wifi speed, etc. You can analyze your WiFi using these informations. Lock WiFi : Keep WiFi awake even if device is in sleep mode. Monitor WiFi : Analyze WiFi connection state. Automatic mode : Keep WiFi awake automatically once WiFi is connected. Status bar notification : Show you the notificaiton while keeping WiFi alive. Power saving mode : Turn off Wifi Lock when the battery reaches a low level. 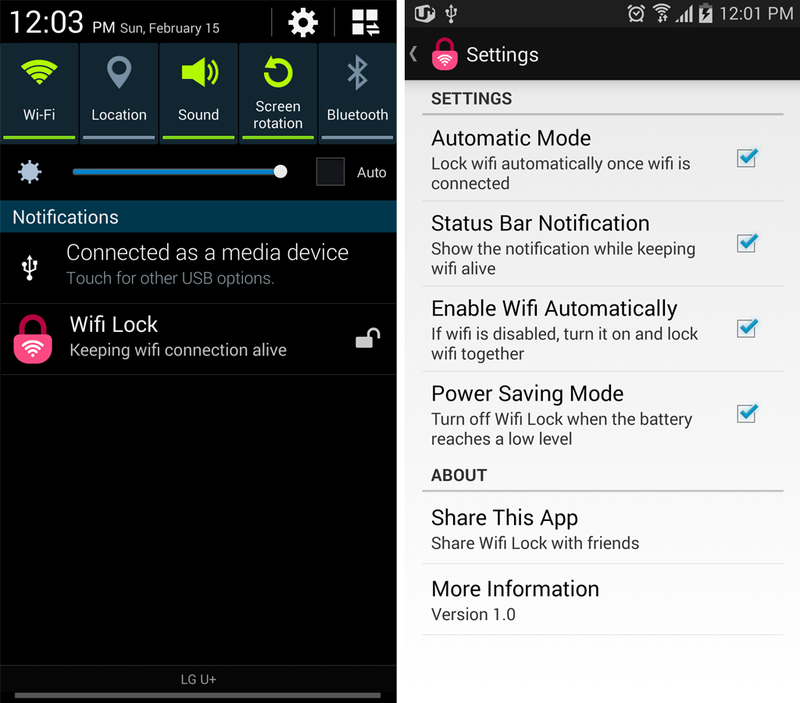 Wifi Lock widget : Turn on / off Wifi Lock, display WiFi strength and speed. Battery widget : Show battery levels with digits and graph.